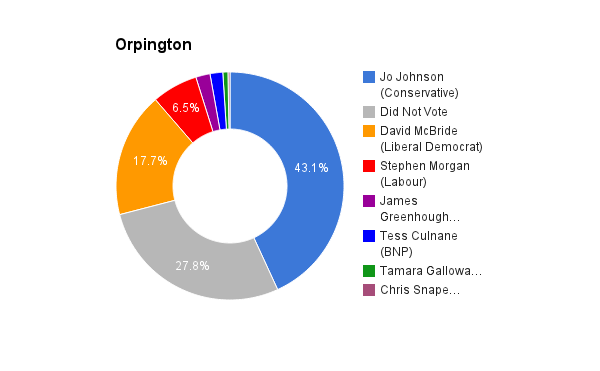 Another London constituency, Orpington is located South and East. The area is famous for the 1962 by-election that is often described as the start of the Liberal Party revival in the United Kingdom. That being said, the elected MP is a Conservative and has been since 1970 with the current being Jo Johnson who has held the seat since 2010.